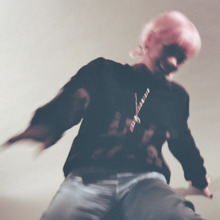 Lily Allen is set to do a UK live tour next month. It will be her first since 2015. The prolific songwriter and pop powerhouse, whose first single "Smile" reached Number One on the UK Singles Chart in 2006, and debut record "Alright, Still" sold over 2.6 million copies worldwide, has just released a new single titled, "Trigger Bang," which features her UK rapper friend, Giggs. Allen's new album "No Shame" - the follow-up to 2014’s "Sheezus" - is set to be previewed at a handful of venues before it drops this summer. If you're keen to catch her performing live, check out ticket availibility here. Lily Allen: "I wish I had more support from the record label"
The wait is nearly over for Lily Allen's new album "No Shame"